- Injury report: For the Raptors, Marc Gasol (trade pending) is listed as questionable. Kawhi Leonard (sore left knee) is also listed as questionable. For the Knicks, the injury report is to be determined. - Welcome Marc: On Thursday, the Raptors announced that the team had acquired centre Marc Gasol from the Memphis Grizzlies in exchange for Jonas Valanciunas, C.J. Miles, Delon Wright and a 2024 second-round draft pick. Gasol is a three-time All-Star and former NBA Defensive Player of the Year award winner (2012-13). He has also been named to First Team All- NBA (2014-15), and Second Team All-NBA (2012-13). Though Gasol will be new to Toronto, he knows a few familiar faces on the team already. Gasol and Kyle Lowry were teammates in Memphis during the 2008-09 season and in international play, Gasol played for Raptors assistant coach Sergio Scariolo and with Serge Ibaka, representing Spain where they won a silver medal in the 2012 Summer Olympics. - Recent history: Saturday’s game will be Toronto’s second meeting with the Knicks this season. The Raptors lead the season series 1-0 with two more meetings to come after Saturday. Toronto defeated New York 128-112 on Nov. 10 at Scotiabank Arena behind a then career-best 23 points from Pascal Siakam and a 19-point, 10-rebound double-double from Jonas Valanciunas. Tim Hardaway Jr. led the Knicks with 27 points in the loss. While Toronto enters Saturday’s game on a three-game winning streak, the Knicks have lost 15 straight. - All-Star squads: Giannis Antetokounmpo and LeBron James drafted their All-Star teams on Thursday night. 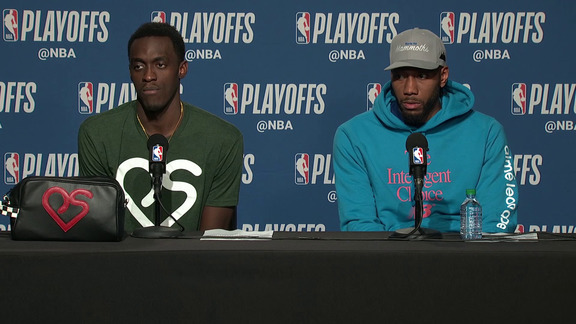 Though Kawhi Leonard and Kyle Lowry will both be representing the Raptors organization in Charlotte, they will be suiting up for opposite teams in Sunday’s game. Leonard will be playing with Team LeBron alongside James, Kyrie Irving, James Harden, Anthony Davis, Klay Thompson, Damian Lillard, LaMarcus Aldridge, Karl-Anthony Towns, Ben Simmons and Bradley Beal. 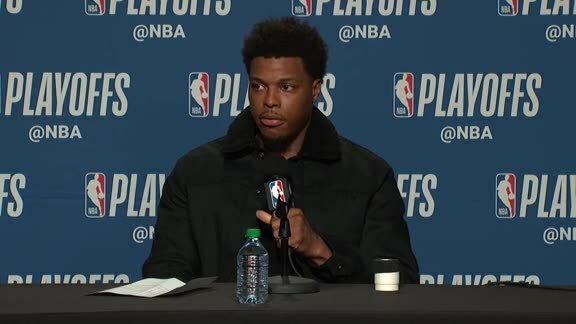 Lowry will be playing alongside Antetokounmpo, Stephen Curry, Joel Embiid, Paul George, Kemba Walker, Khris Middleton, Nikola Jokic, Russell Westbrook, Blake Griffin, D’Angelo Russell and Nikola Vucevic. - Career-highs: The Raptors defeated the Hawks 119-101 on Thursday, despite having just 10 available players in uniform. Pascal Siakam and Fred VanVleet picked up the slack, each setting career-highs in points in the victory. Siakam scored 33 points to go with 14 rebounds, three assist, two steals and a block, while VanVleet added a career-high 30 points. - Double-double club: Though Serge Ibaka’s run of seven straight games with a double-double came to an end in Thursday’s game, Kyle Lowry was there to pick up one of his own finishing with a 13-point, 13-assist double-double in 36 minutes. It was Lowry’s 14th double-double of the season. Toronto’s point guard is second in the league in assists, with a 9.3 assist-per-game average, keeping him on pace to become the first Raptor since Mark Jackson (2000-01) to average 9.0 assists in a season.